Extract from my sailing diary. Walton-on-the-Naze. Waiting to cross the Thames Estuary. Follow A Star, my third novel, is the second to feature Little Spitmarsh, a faded seaside town trying to reinvigorate itself. Like, Turning the Tide, my debut novel, it draws heavily on the days when I was a sailing ingénue who happened to fall deeply in love with a keen sailor and ended up sailing half way round Britain with him. That first-hand experience of the tensions that can arise in such a confined space, made a small boat the perfect place to trap May and Bill, the heroine and hero of Follow A Star. Bill’s a strapping red-haired builder trying to do his best for his ailing uncle and all May wants is to escape the smouldering wreckage of her burnt-out career and one very demanding ex. I knew exactly how each of them would set the other off, and thoroughly enjoyed creating sparks and misunderstandings between them. 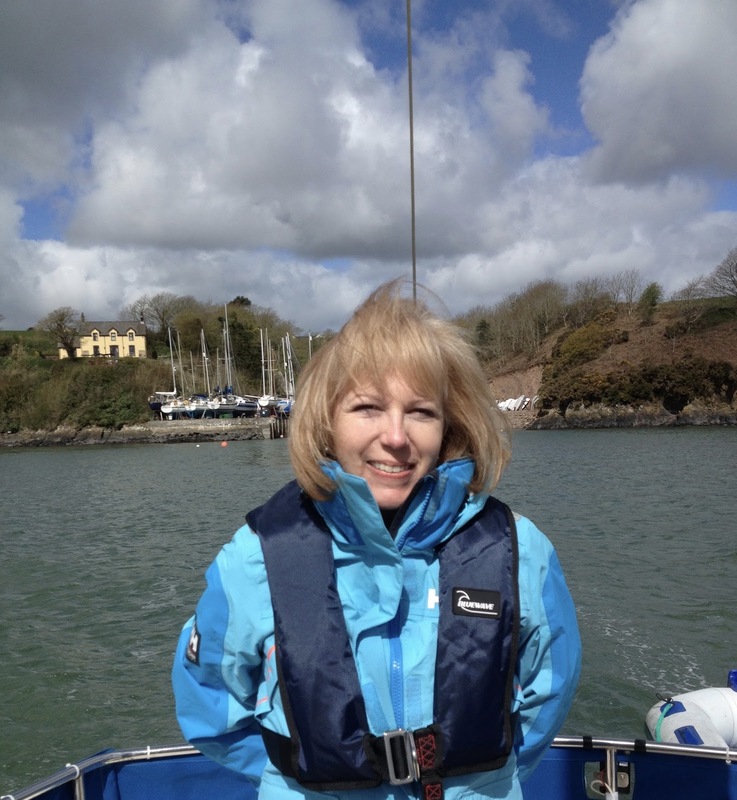 When I first floated the idea of writing a vaguely nautical novel I was discouraged by a friend in the know who told me ‘women don’t do boats’. I suppose the reason I couldn’t let go of the idea though is because I don’t do boats either – at least not carbon fibre go-faster yachts with seventeen-man crews clad in the latest offshore gear. 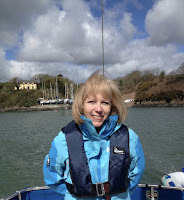 But I do ‘do’ new experiences and sailing’s given me those in abundance, from shaking with fear in huge seas off Land’s End to watching basking sharks in flat calm seas, being accompanied by a pod of dolphins playing in the bow waves or seeing puffins skittering across the water. Sailing the beautiful and wild coast of West Wales, where I now live, is rarely easy but it’s where I’ve felt most alive. If wind, waves or weather turn against you the places of refuge are few and far between. We’ve slipped into Aberdovey in benign and gentle conditions only to find ourselves on a bucking bronco of a mooring twenty-four hours later. We’ve slogged across Cardigan Bay and made Pwlheli harbour by the skin of our teeth before the weather front that would keep us gale-bound for a week was upon us. Even a recent ‘potter’ down Milford Haven forced us to make an unscheduled beach landing to free a rope that had caught round the propeller. I’m apprehensive whenever we slip the lines and set off on a voyage, but without the fear I wouldn’t reap the rewards each passage brings. I’ve been challenged and inspired by every moment I’ve spent at sea. So for those of you who think you don’t like boats, that’s how I once felt too. But if you still don’t fancy getting wet and cold at sea, well you can always curl up with a good book about sailing instead! 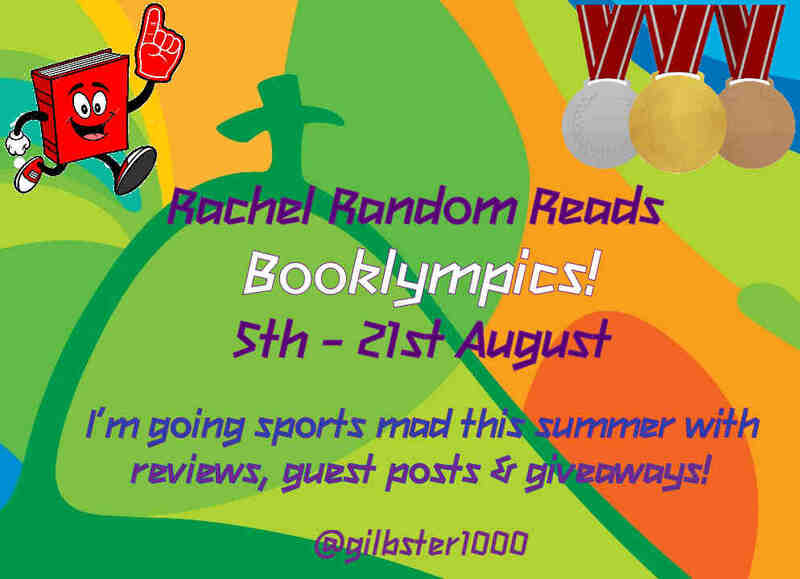 Thanks so much Christine, I think Sailing is almost a forgotten sport, especially in books, so its refreshing to see you talking about it. Christine Stovell says all her writing - short or long fiction, poetry or feature writing - is about making sense of the world. Her novels are published by Choc Lit and she has recently completed a series of house interior commissions for The English Home magazine. 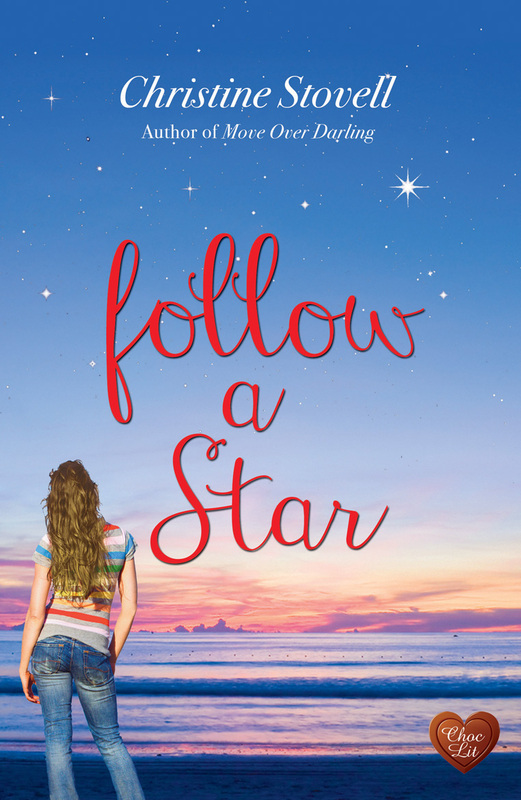 Many thanks to Christine who is also giving away a signed copy of Follow A Star to one lucky winner. Giveaway open to UK Only, all options are voluntary, but please do what they ask, as I will be verifying the winner. Giveaway closes 23:59 24/8/2016. Winner will be announced on twitter and emailed, and they will need to reply within 7 days, or forfeit the prize, and I will re-draw for a new winner. Good luck everyone.